Set environment variable as shown in the following picture. 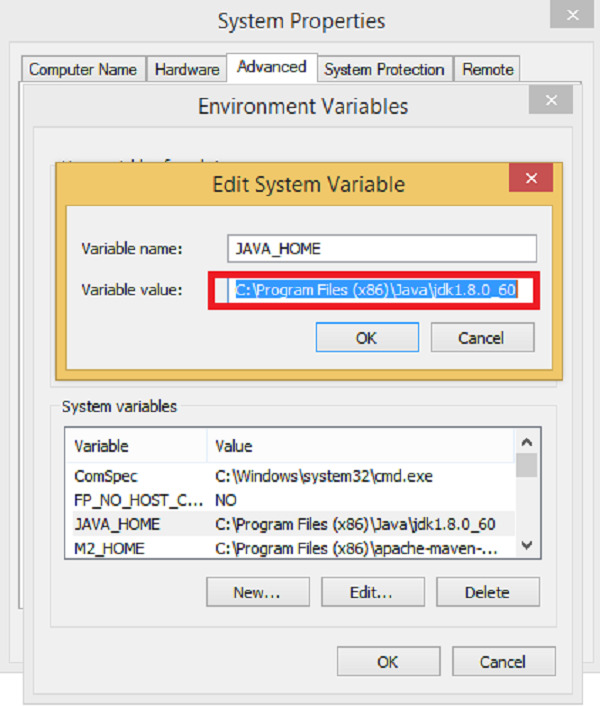 Create environment variable MAVEN_HOME as shown in the following image. Edit Path variable and include Maven. 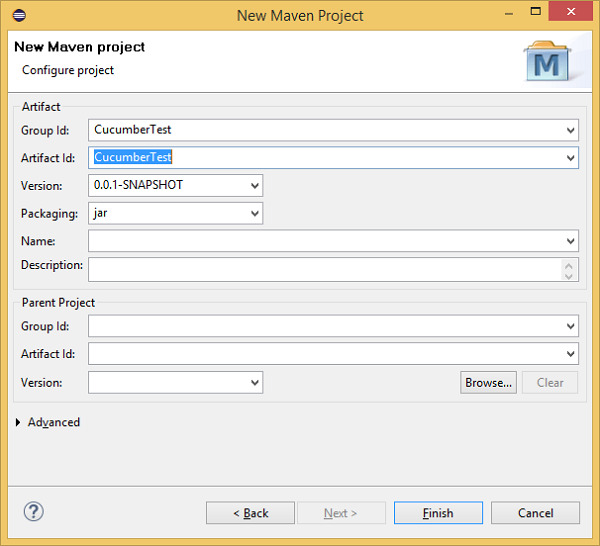 Step 4 − Configure Cucumber with Maven. Step 6 − Add dependency for Selenium − This will indicate Maven, which Selenium jar files are to be downloaded from the central repository to the local repository. Step 7 − Add dependency for Cucumber-Java − This will indicate Maven, which Cucumber files are to be downloaded from the central repository to the local repository. Step 8 − Add dependency for Cucumber-JUnit − This will indicate Maven, which Cucumber JUnit files are to be downloaded from the central repository to the local repository. Step 9− Add dependency for JUnit − This will indicate Maven, which JUnit files are to be downloaded from the central repository to the local repository. Step 10 − Verify binaries. You will be able to see a Maven repository. Step 11 − Create a package under src/test/java named as cucumberJava. Give the file a name such as cucumberJava.feature. Give the file name a name such as annotation.java. Step 14 − Create a runner class file. Give the file name as runTest.java. An instance of Firefox web browser will open. It will open the Facebook login page on the browser. It will detect the login button. In the JUnit window, you will see a scenario with green tick mark, which indicates success of the test execution.